The Monkees, Indigo, AKO BEATZ, Eastcolors, Clarity and more. 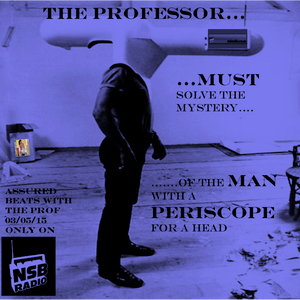 A periscope headed man will DESTROY the fabric of dance music!!! A prophecy REVEALED only to....THE PROFESSOR!!! Using deadly new weapons forged from DRUM AND BASS (and a medium bristle toothbrush), THE PROFESSOR wages a two hour WAR against this sinister threat, but is it ENOUGH?? Listen in!!!! !